The response was staggering, to say the least. I am the immigrant dream. I moved to Canada when I was 14 (starting high school). I dabbled around building websites, and by the time I was in university I had incorporated my first company. I left Canada after graduation and moved around some more (USA, Argentina, USA, then back to Canada), and during that time my businesses grew. Make no mistake: This wasn’t me luckily stumbling into something that worked. I remember days of programming from 9 am to 11 pm, with chocolate bars and muffins being my primary sustenance for the day. Eventually, it was fork-in-the-road time: Do I stay in the rat race, accept money from venture capitalists (which were coming after me by then), and go for millions? Or do I retire, let the processes I built run themselves (I always say 5 minutes a day = 2.5 hours a month), and do what I want? And so I chose the latter. I live a comfortable life, I do what I want, when I want, and that’s all I can ask for. If I want to go for an hour-long walk with my dog, I can ( and I do). I’ve also diversified enough so that I am not beholden to any one source for traffic or revenue. 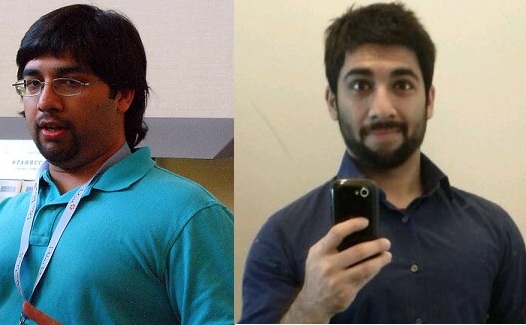 While all this happened, I also went from fat to fit (here’s my mandatory before and after). And as this was happening, I took notes. Tons of them. And as the notes grew more and more impossible to manage, I eventually teamed up with Kurtis and we formed Examine.com. That backstory is important to understanding what it is that makes me tick. Corny as it sounds, I’m like a 65-year-old man trying to build his legacy. Fitness is my passion, and I’m trying to effect legitimate change in how people perceive supplementation and nutrition; we get so many angry emails every day regarding our nutrition frequently asked questions that drip with dogmatic belief and no evidence at all. Examine.com is inching towards 10,000 visitors per day; I always say I won’t be happy until we have 50,000, as at that amount of traffic I feel like we will finally be *the* reference site. And if we can manage that, I’ll feel like I’ve done some good (cue my immigrant thanks for the host of opportunities I’ve been given). This is mut#$%^%$ awesome work! The fact that Examine.com gets all this traffic warms my heart. When you’re at the ISSN meeting, I’ll tell you a story about how different it was a decade ago. (A story of Dr. Jeff Stout and I giving a talk at the ACSM conference)…pretty funny (though sad in a way) sh@# it was. Congratulations Sol! Recognition well deserved.